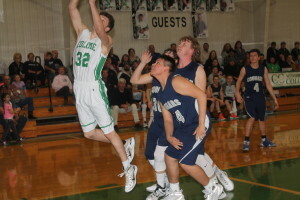 Reed Harter scored 34 points as the Colome boys basketball team defeated Marty 75-59 Thursday. Holden Thieman added 17 points and Jackson Kinzer and Will Cahoy, 10 each. With the victory, Colome improves its record to 13-5 and is the No. 1 seed in District 12B.